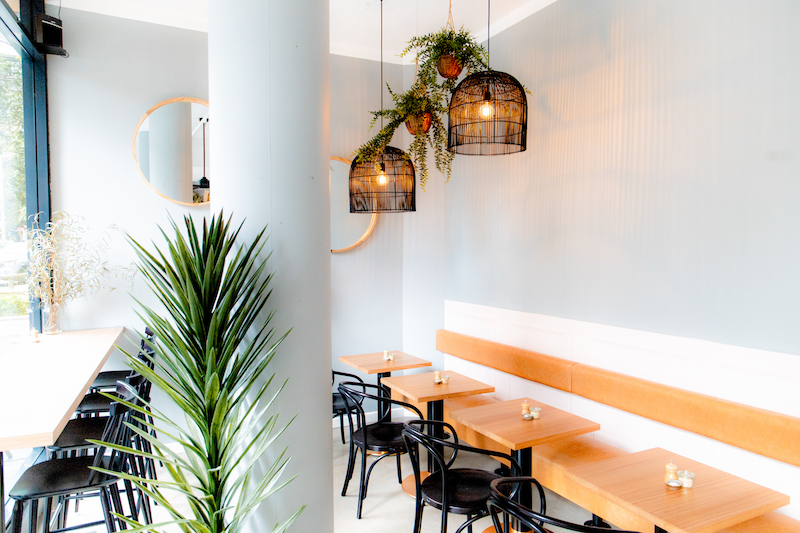 Introducing holly, an unassuming oasis in the heart of Bondi’s concrete jungle. 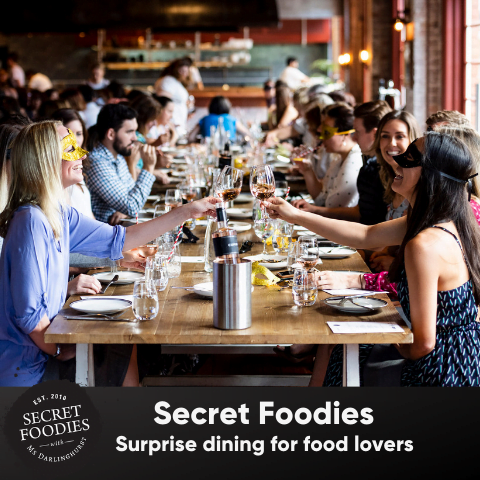 For too long Bondi Junction has been living in the foodie shadow of its sun soaked neighbours. With a hint of Palm Springs cool, holly has landed on Hollywood Avenue with a menu and atmosphere worthy of a star on the Walk of Fame. Owners Justin Stevenson and Laura Hayes have already established their hipster reputation with the likes of Instagram ready cafes Everyday Espresso in Redfern and Haymarket’s Coop and Cart. Now, the brunch maestros are taking on the Junction. 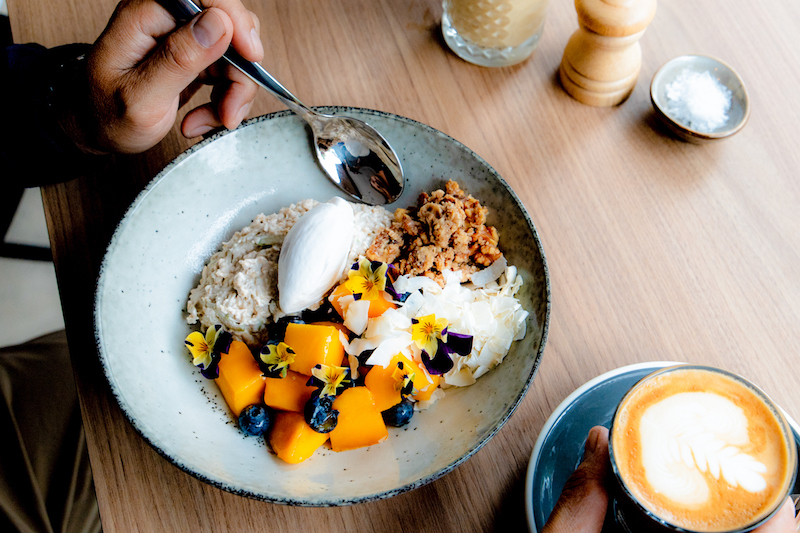 Known for a formidable food court and an abundance of shopping, Bondi Junction has long lacked a leisurely brunch hangout. Then along came holly. 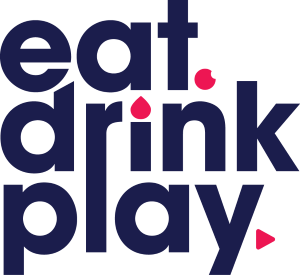 Stevenson and Hayes have joined forces with menu consultant and chef to the stars Tomislav Martinovic to create a relaxed and charming venue that oozes cool. Turning a corner behind the Westfield Mecca, holly’s street side seating pops with Art Deco styling. Shades of lush greenery and a wealth of natural light extend into the soothing atmosphere indoors. Perching oneself on a high top bench overlooking the outdoor diners, prepare for a picture perfect healthy feed. Before tucking into the social media savvy creations, settle your coffee withdrawals with the monthly rotating single origin drip. Served black, white, iced, batch brewed, chilled, filtered: your morning pick me up will arrive with ample precision. 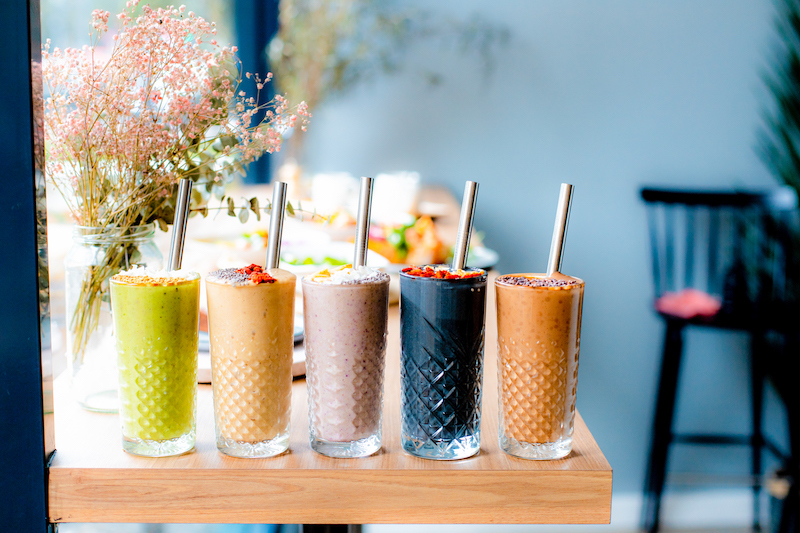 Being so close to Bondi, you would be mad not to trial one of holly’s hearty smoothies (each $10). The Hulk is a fuelling concoction of kale, spinach, avocado, spirulina, hemp oil, banana and apple juice. Or fully endorse the Palm Springs vibe with the Island Life, complete with blueberries, banana, almond milk, agave syrup, chia and topped with coconut chips. Then, it’s time for the food. Prepare your smart phone and get socialising, holly’s creations blend subtle and refreshing flavour combinations with a meticulous prettiness. Commence your degustation of the all-day menu, served from 6.30am, with the Holly Oats ($16). Holly oats, an exciting rendition of overnight oats, combines a plethora of seasonal fruits with creamy coconut yoghurt and an inventive walnut crumble. For something slightly more substantial, switch to The Dark Side ($18). This bowl of goodness is anything but evil, combining a wholesome overload of hidden flavours. Two fried eggs rest on top of a creamy bed of pumpkin hummus with a side of broccolini and kale, and two hidden treats: a pesto sauce and hint of feta. holly continues to push the boundaries with the mouth-watering Chilli Scram ($19). Freshness remains at the heart of the spicy creation that places oyster mushrooms and kale inside a mungbean toast hotbed of chilli and fried eggs. If you are starting your leisure late, holly’s “From 11am” menu will combat those feeling hungry, hanger or hangover. Head straight for the holly Double Cheese ($19) if you are feeling especially greasy. Or replenish yourself with the Poked Salmon ($22), a bowl of hot smoked salmon, black rice, miso and fresh vegetables. Leaving holly with enough fodder both for you gut and social media feed, have an indulgent gaze at the healthy treats cabinet to finish your Palm Springs escape. Whether you are on your way to the beach or preparing to shop until you drop (be that of a food coma or maxing out your credit card) then head to holly, an unassuming oasis in a concrete jungle.